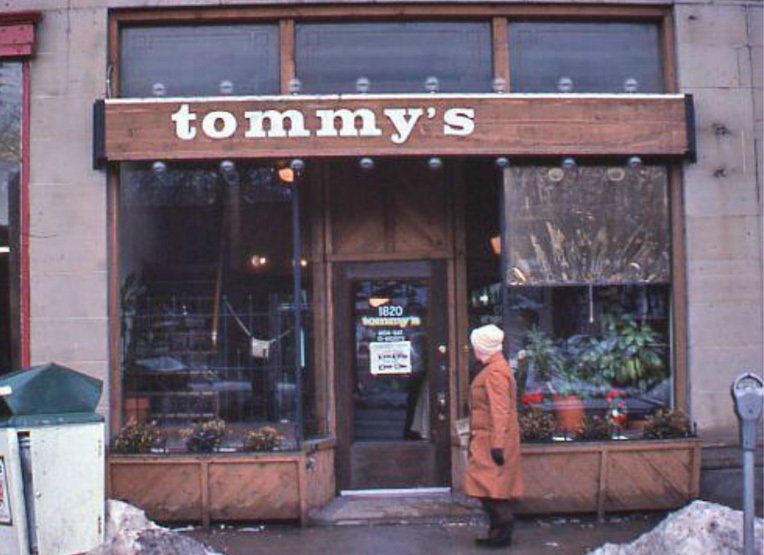 Soon after Tommy’s opened as a small soda fountain in 1972, Rolling stone magazine voted it “Best Milkshake East of the Mississippi.” This is a photo of the restaurant’s first location on the corner of Coventry and Euclid Heights Boulevard. It began with 7 seats and eventually expanded to 27. 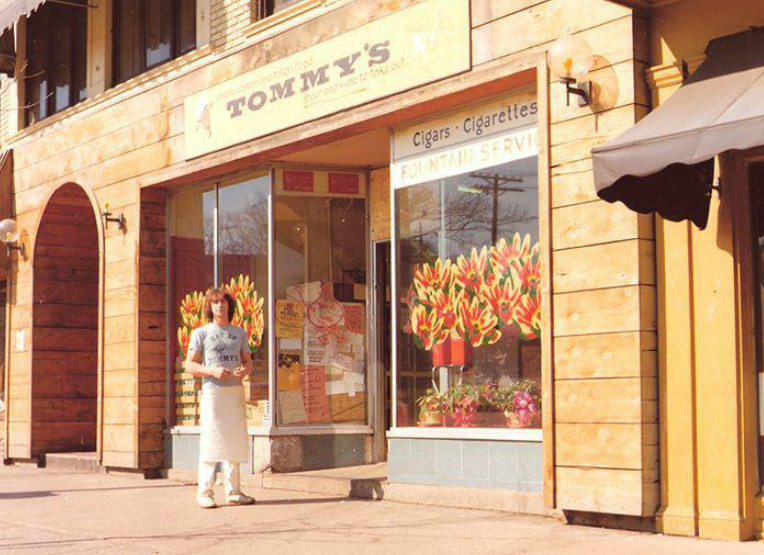 In April 1978, Tommy’s moved to 1820 Coventry Road. Here the restaurant was L-shaped, with seating on the 1st floor and on a balcony with a total of 77 seats. This remained the home of Tommy’s until November 1988 when a fire destroyed half a block of Coventry, including Tommy’s dining room. After the fire in November 1988 wiped out the dining room, the restaurant continued to use the kitchen but moved the dining room to 1824 Coventry Road, which housed Coventry Cats and High Tide Rock Bottom. Despite this transition, Tommy’s maintained a 70-seat capacity. The current site of Tommy’s celebrated its grand opening in May of 1993. It seats 125 people.